Ok, raise your hand if you're still using a manual toothbrush?? If so, then you'll really want to pay attention to this post. You may be wondering why I'm talking about dental care and toothbrushes? 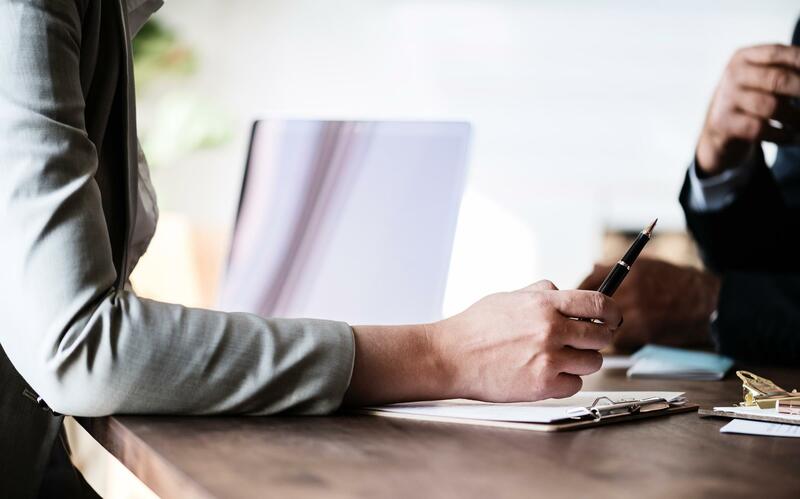 February is heart health month and on social media recently I shared a story about a scare I had that took me to the emergency room. Since heart disease is the number one killer of women, I want to talk about a major contributor....gum disease. Gum disease has long been associated with an increased risk of developing heart disease. The culprit is poor dental health because it increases the risk of a bacterial infection which travels through the blood stream and can cause damage to the heart and lead to a stroke or heart attack. Heart disease is the number one killer of women, so women in particular should take extra measures to reduce their risks. So when Smile Brilliant reached out to me to collaborate with their company to try their electronic toothbrush, I thought what a perfect time to try this new product. While I'm actually not new to electronic toothbrushes, I'm always interested in finding the best possible product on the market. The reason I made the switch is because electronic toothbrushes promote good oral health. First, you naturally brush your teeth longer with an electronic toothbrush then with a manual one because of the built in timer. Second, they're more successful at removing plague thereby reducing the bacteria that contributes to heart disease. The cariPRO Ultrasonic Electric Toothbrush 40,000 vibrations per minute provides a dynamic cleaning action and with five (5) brush modes (clean, white, massage, gum care, and sensitive) provides an incredible value. Also, if you're the type of person who likes to kill two birds with one stone by brushing your teeth in the shower, the cariPRO's waterproof design gives you that flexibility. I've been using the cariPRO Ultrasonic Electric Toothbrush for a week now and I think it's a great electronic toothbrush. The multiple settings make all the difference in the world. 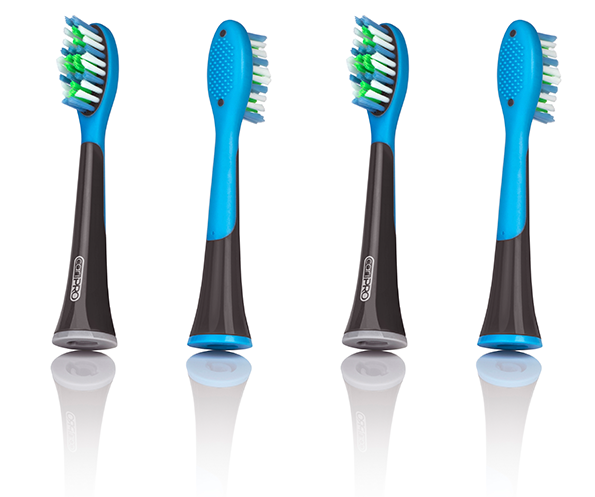 Each individual brushing mode is designed to operate for two minutes with brief pauses between each 30 second burst. This is your signal to move to a different quadrant of the mouth. While I don't recommend you skip flossing, I noticed that his brush was able to remove most things caught between my teeth and magically broke through any beginning plaque buildup. In case you're unfamiliar with the settings (and why you need an electronic toothbrush that will give these options), I list them here. Clean mode is the standard mode for superior daily cleaning. White mode is the most powerful cleaning mode for removing surface stains, polishing and vigorous deep cleaning. Massage mode includes gentle gum pulsation for gum stimulation. Gum care mode is for gentle cleaning along the gum line. Sensitive mode is ideal for users who find the default clean mode to be slightly too aggressive. I've tried each of the cleaning modes and didn't personally find the clean mode to be too aggressive. It definitely left my teeth squeaky clean. However, I'm also experienced with using electronic toothbrushes. I will say that I found the white mode the most powerful, which makes sense because it's working hard to really polish the surface of your teeth. If you have sensitive gums, many of us have as we get older, it's nice to have so many options with one toothbrush. I have to give a shout out to the message mode because it's literally a 30 second message for your gums. It's a great "pre-brush" setting because it preps your mouth for the deep cleaning ahead. In addition to the ergonomic slim design with graphite gray soft-touch grip (other brands will charge you more if you want a color other than white), the two premium brush heads also have a tongue scraper, which is also not a common feature with other brands. This helps to guard against bad breath and will help to keep your mouth feeling fresh. I found this feature a major plus. Your smile is one of your greatest commodities. 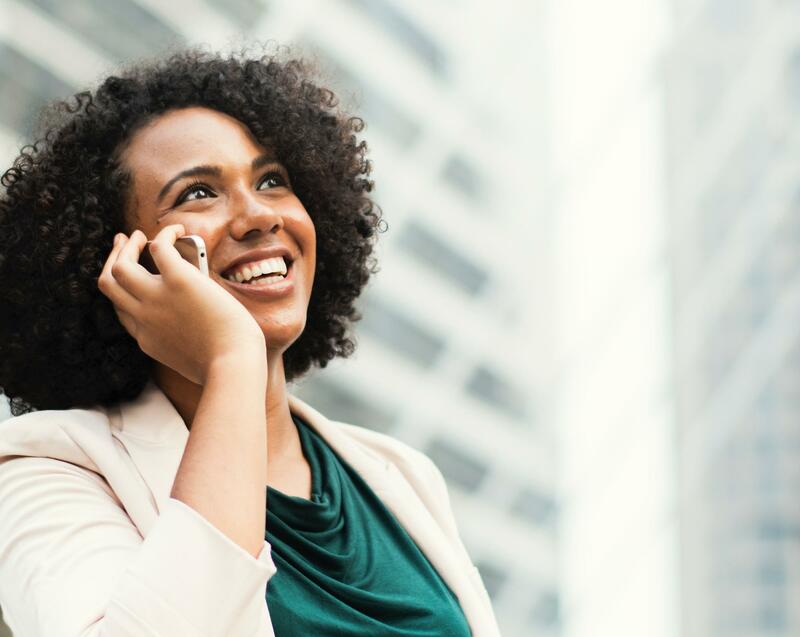 It takes a 1/10th of a second to form an impression and because 93% of our communication is relayed through non-verbals, your smile plays a huge role in forming that impression. Protecting your teeth is the best way to protect a key component of your overall image. In addition, smiling increases not only confidence but your credibility in the eyes of the person on the receiving end. Smiling also produces endorphins in our bodies, which make us feel good and happy. When someone smiles at us and we return that smile, all those feel good neurotransmitters get activated and our brain stores a message that the this is a person I want to know, which increases their likeability. These endorphins and serotonin also relaxes your body, but it can also lower your heart rate and blood pressure. If you're in the market for an electronic toothbrush, look no further than cariPRO's Ultrasonic Electric Toothbrush. Not only will you have a healthier mouth (to fight against heart disease), a whiter smile (which increases your confidence and credibility), there's also no risk to you when you purchase because of their money back guarantee! Get Yours Today & Enter the Giveaway! As I mentioned before I'm not new to the electric toothbrush game. I've been using a Sonic Care for years but it was their base model, it didn't have the bells and whistles that the cariPRO has. Having the extra features has already made a difference in my oral hygiene and my smile. First of all there's a difference between an electronic toothbrush and an ultrasonic toothbrush. The ultrasonic high frequency vibrations don't rely on my physical motions and instead uses sound waves to remove plaque and bacteria. That was the first thing I noticed. After just the first brushing my teeth felt like I just came from my dentist office. Second, having a whitening function built in helps me to add a little more sparkle to my smile. You don't need to use this function everyday to get some great results. I used it twice (and will continue to incorporate it into my routine twice a week) and already noticed a difference. Last, the message mode, I now realize, is a must have on any toothbrush. It's hard to describe how great this additional feature feels on my teeth and gums. 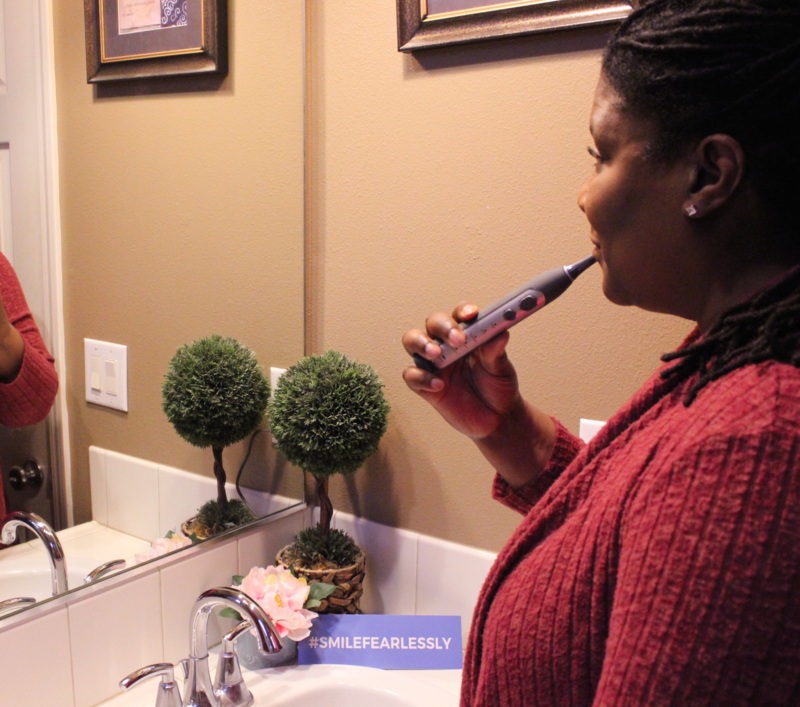 The cariPRO is already an affordable product considering all of the benefits, but Smile Brilliant wanted to make it easier for you to get your own and try it out today. Simply CLICK HERE to be entered for a chance to win your own cleaning system! 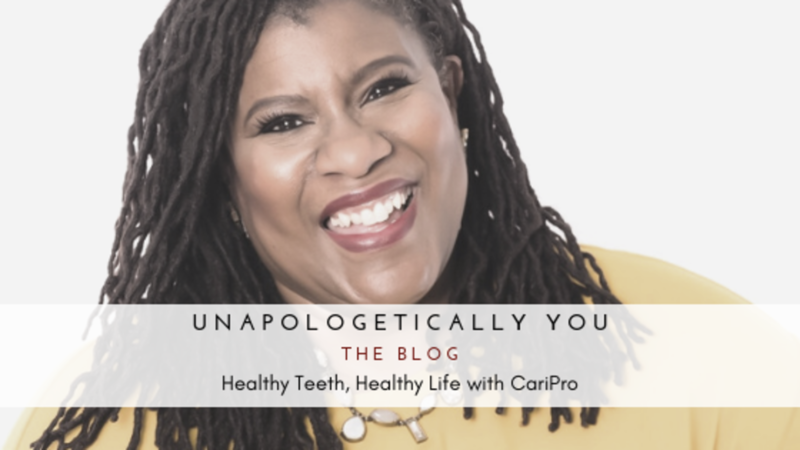 You can also use my code carolparkerwalsh20 and get 20% off your cariPRO Ultrasonic Toothbrush, which brings this product down to under $100, well below any of their competitors! Don't cheat yourself out of a great product and even better oral hygiene. You're worth the investment! Hit reply and share your experience with your new cariPRO! Live, laugh, unapologetically shine.....and #smilefearlessly! Smile Brilliant GIVEAWAY - Enter to WIN! **This is a sponsored post but all opinions are my own and based on my use of the product.